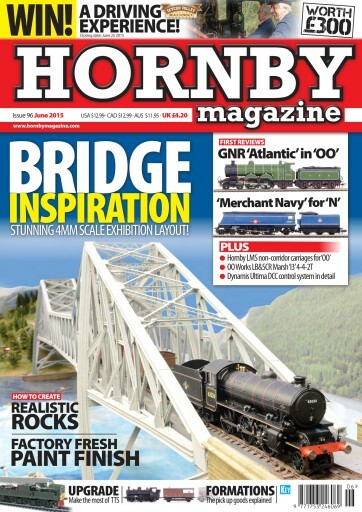 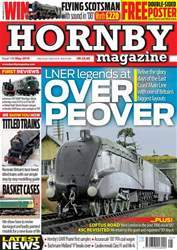 In a packed June issue of Hornby Magazine we review all the latest releases including Locomotion Models’ new GNR ‘Atlantic’, Bachmann’s new ’N’ gauge ‘Merchant Navy’ 4-6-2, Hornby’s new Midland non-corridor carriages, OO Works Marsh ‘I3’ 4-4-2T and more. 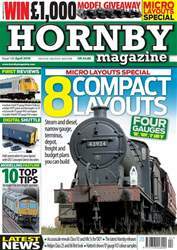 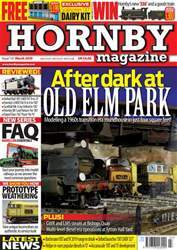 Plus we’ve got all the latest news, an exclusive competition to win a footplate experience on the Severn Valley Railway, three stunning layouts, a guide to weathering ex-works locomotives, how to make your own rocks, upgrade a Hornby Twin Track Sound Class 40 and more. 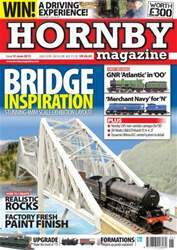 Also included with this issue are six exclusive videos produced by the Hornby Magazine team including footage of the GNR ‘Atlantic’, Bridge of Muir and the OO Works ‘I3’.